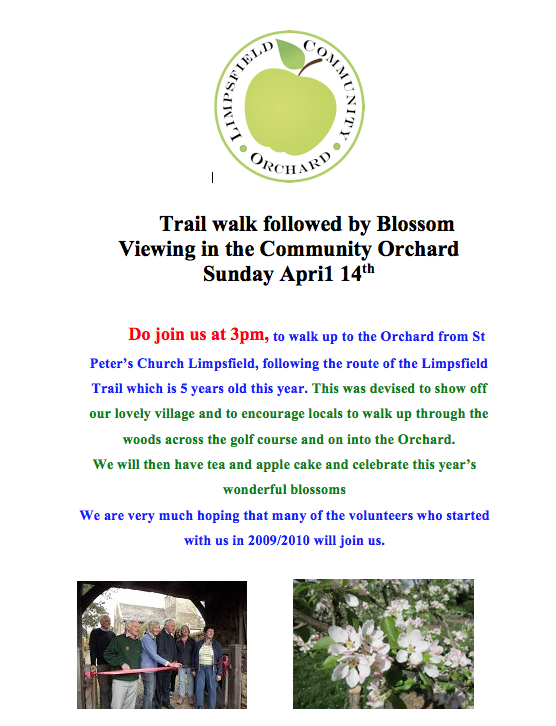 We are celebrating 5 years of our Limpsfield Community Orchard Trail which was officially opened in May 2014 by Cllr Nick Skellet. 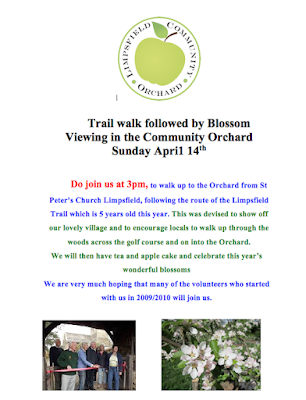 We would like you to join us at the lych gate at St Peter's Church at 3pm on Sunday 14 April so that we can walk gently up to the Orchard together. There will be tea and apple cake waiting for us....and hopefully lots of beautiful blossom too. This pic shows a Buerre Hardy Pear which is budding up nicely. 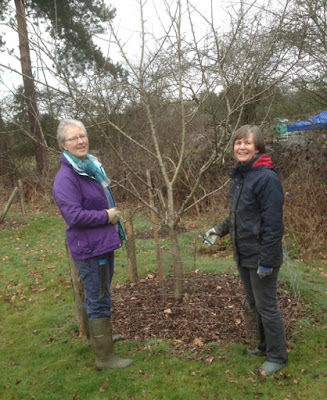 We had 13 people in the Orchard on Saturday 23 March to weed and mulch round the trees. It's all looking nicely tidy now.....and we look forward to a good crop. I think the blossom will be 2 to 3 weeks early.....unless we have some late frost we should do well. .....the first Mirabelle in full blossom on 9 March 2019. 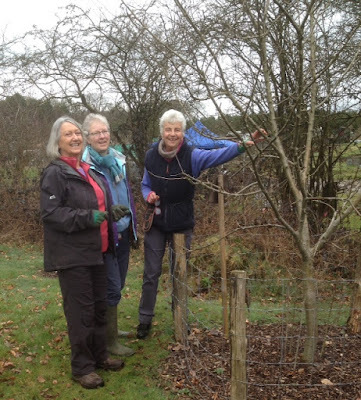 I am pleased to say that we have now done our 2019 apple and pear pruning with the help of Jan Lambourn. Some of the trees sadly are still showing some canker meaning that we had to prune quite severely in places but on the whole we are pleased with growth and there are some good fruit buds fattening up. The Mirabelle are already in full flower. The harvest will all depend now on whether we get frosts at the time the blossoms are opening. We are very much hoping it will be a better year for the pears which were marvellous in 2017 but very disappointing in 2018.
harvest. Led by Andrew Claringbull, our Wassail Master, and encouraged by the North Downs Drummers, with glowing drums, we processed to theorchard. 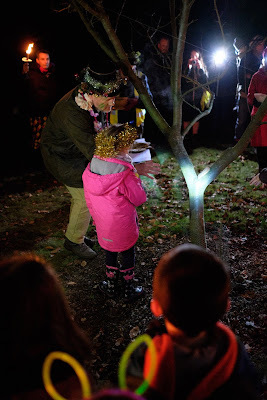 After singing the traditional songs around the blazing bonfire we headed to the king tree where the wassail princess offered the king tree an apple, bread and salt to make sure we got a good crop of apples. The bread to feed the birds, the apple to give back to the orchard and the salt for purification. 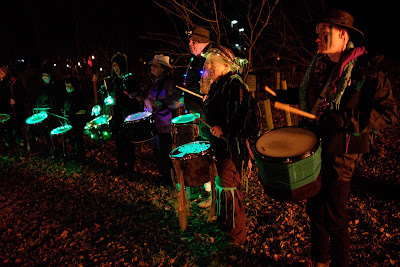 The Wassail bowl was passed around and everyone took a sip of the cider. We then headed to the hot dogs, mulled cider and apple cakes (which disappeared immediately). The remaining people gathered round the fire to get the remaining warmth from it, sparks and embers floating up to the brilliant moon. I have been coming to the wassail for a while now and this was one of the most pleasurable evening yet, probably because I gave something back to the community as I am doing my DofE volunteering at the orchard. I remember digging out the concrete right at the beginning. It is wonderful to see the orchard now. 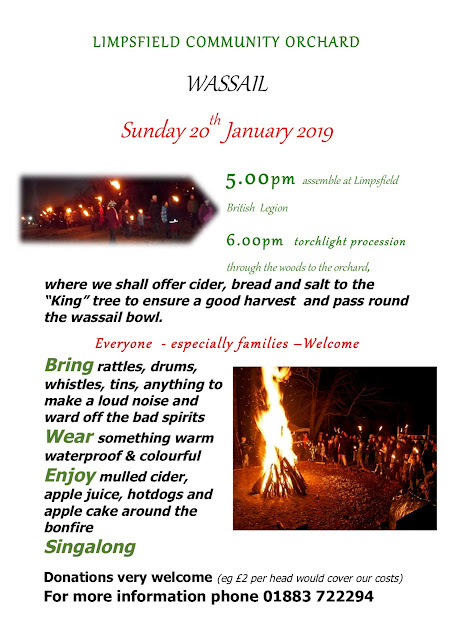 We have just had a successful couple of hours in the Orchard gathering wood for the Wassail bonfire.....the large pile is covered now so hopefully the wood will be dry enough to make a good blaze when we come to build the bonfire on Sunday 20 January 2019. We also collected pine cones which we take home to dry thoroughly, and these make the base of the fire together with dry kindling and candle ends (+ a few other secret ingredients tucked in by our magical bonfire builders). We were pleased to have some families helping. Also we had our two Duke of Edinburgh students giving us a hand too.....so many thanks to everyone who helped. 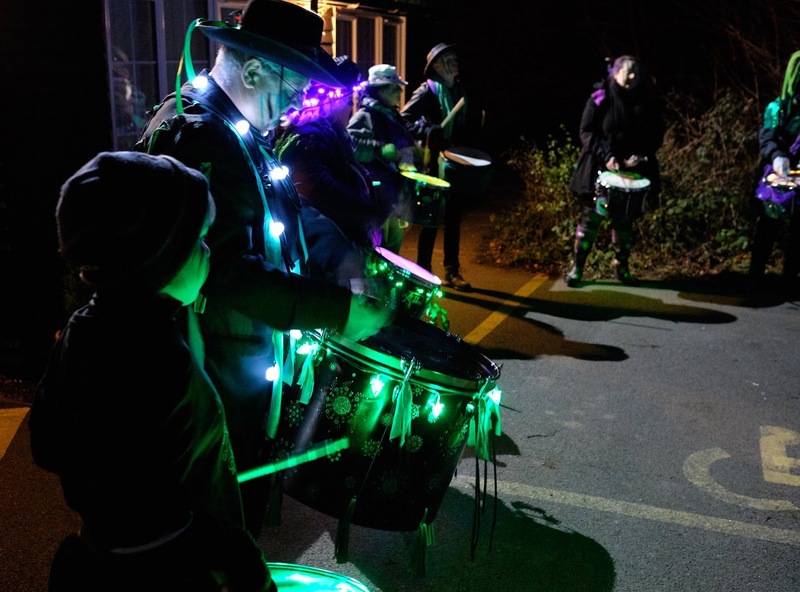 We look froward to seeing everyone at the WASSAIL. From the Limpsfield traffic lights continue along the A25 and go straight on up the hill towards Westerham, past Limpsfield School on the LHS. 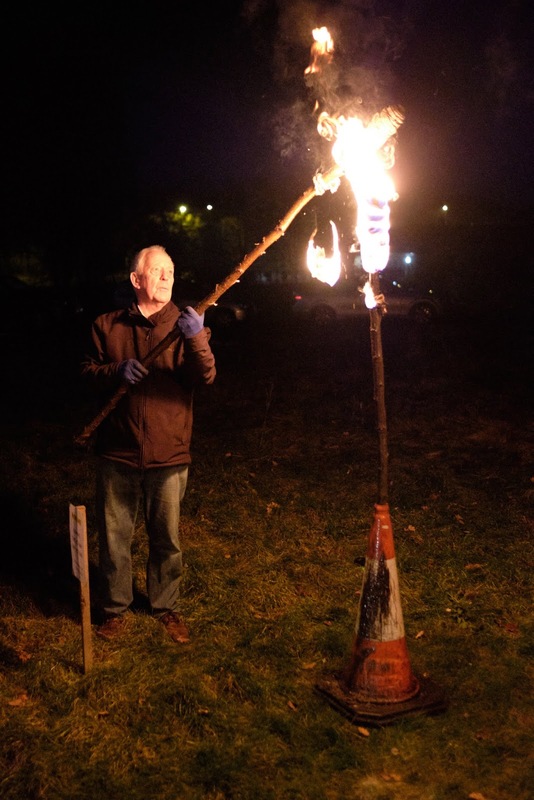 Cross over on foot to the north side of the M25 and walk up Grub Street ….you will see the sign for the Community Orchard on the RHS. Go down the steps and follow the clearly marked path through the woods….you will reach the Orchard after about 5 minutes walk. You might of course come down through Limpsfield Village….in which case drive up to the traffic lights and turn left on to the A25 and continue as above. You could support us by becoming an Orchard Friend. 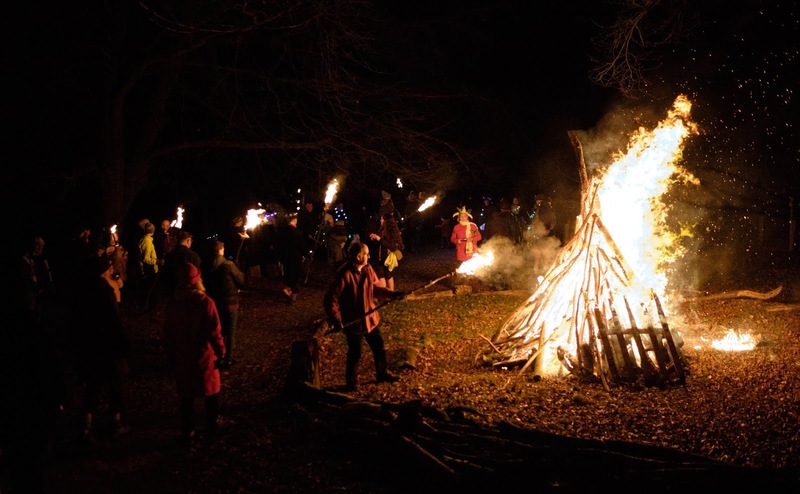 You will receive invitations to Orchard Events such as Tasting Days and our Winter Wassail as well as being able to join our regular Working Parties.